Discussion in 'General Chat' started by Markku, Sep 29, 2013. 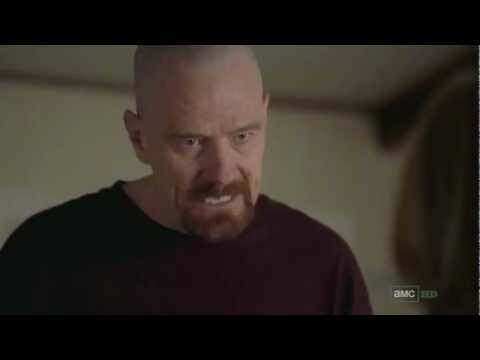 Walter White, a struggling high school chemistry teacher is diagnosed with advanced lung cancer. He turns to a life of crime, producing and selling methamphetamine accompanied by a former student, Jesse Pinkman with the aim of securing his family's financial future before he dies. So the series finale is tonight, 9/8c. This for the US viewers. Six great years of television is coming to an end and I've got a feeling it's going out with a bang. Anybody else here follow the show? Of course. I'll be inside my cone of silence until I can watch the episode tomorrow. Gonna watch it for breakfest tomorrow! My favorite show EVER and it just started a few minutes ago. So sad it's almost over. No spoilers from me but predict much heartbreak and a high body count. So sad it's over....not exactly what I expected...but what a great ride for six years. RIP BB. Whoo what an ending. Last week I saw the Dexter series finale and it was sorely disappointing. The neo-nazis end was fitting and expected. I wonder where Uncle Jack had hidden the rest of the money -- Walt didn't care. While Todd was eerily creepy, she would have made a great pair with Lydia. Too bad they never got together... I did find pleasure in Jesse getting the chance to do that final deed to Todd. Walt's fate wasn't surprising, I think the only question was whether he would die of cancer, by his own hand or killed by a 3rd party. Final breath in a meth lab -- genius. Basically all the characters got closure and it was an extremely rewarding journey as a whole. Right up there with The Sopranos. Who else is going to watch all the episodes again starting from the beginning? For me, I can see a nice little Breaking Bad marathon during the Christmas holidays! @Markku Do you follow the breaking bad subreddit on reddit.com? No, I'm not very familiar with Reddit. I have read some AMAs over there previously but that's about it. Now I'm going to head over to http://www.reddit.com/r/breakingbad though... thanks for the tip. The Blu-ray box set looks sweet. I love Reddit and Digg (btw Digg is back again!). Love the breaking bad and walking dead. Greatest of all time, one tv series that didn't go on and on and end disappointly (Dexter), well back to Walking Dead, Supernatural and American Horror Story. @Markku I loved how it all went down with Lydia ( I knew Walt did something with that sugar (or what it was? )), and the rest of them. I miss the show The ending was great though. Hey Luca, I feel your pain. Sundays feel so, so... empty now. I always was looking forward to getting my BB fix. I am giving Boardwalk Empire another try but its not the same. Guess I'll have to wait for Game of Thrones, which is clear into next year. In the meantime: I have all the episodes through season 4 on my computer and have started rewatching them from the beginning. So many details I missed the first time through. Advice on Mirtazapine — Can I Start Weaning Off Them by Breaking Them in Half? Tinnitus Returned with a Vengeance After Breaking My Foot? How Loud Is Styrox Breaking?